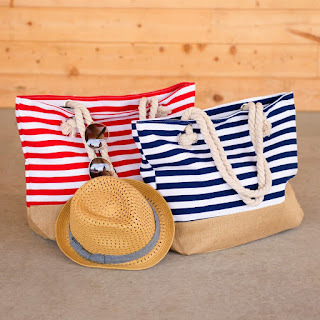 Check out these Summer Beach Bags for ONLY $9.99 (Retail $26.99)! This Summer Beach Bag has your needs covered. This canvas tote bag with burlap detail bottom and rope shoulder strap, can handle your beach accessories. The zipper enclosure and inner lining will keep your possessions safe on your summer outings.